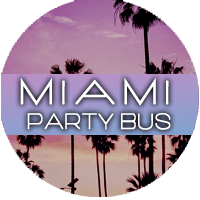 Why choose Tampa Party Bus? Your wedding deserves a Tampa Party Bus. We'll take care of all of the tiny details. Whether you're having an intimate gathering and a small ceremony or a truly grand affair, we've got the kind of vehicles that will astound and impress your guests, and look absolutely stunning in photographs! Travel in comfort and feel like you've got your own royal wedding with us. Your child will think you're the coolest parent ever for renting them a vehicle like this! The secret that's just between us is that you're really getting yourself a stress-free night where you can Netflix and chill, free of any worries about your child driving distracted or even texting and driving. They'll be safe on the road with our professional chauffeur and our impeccable vehicles. Bar hop in complete style, comfort, and safety with transportation from Tampa Limo. This is one of our most popular reasons for a rental, and our chauffeurs just love taking you out for a night of fun. They know the hottest bars and clubs in the area, so even if you don't have time to plan a real itinerary, they can take you out for the night of your dreams! Easy and enjoyable, top to bottom! 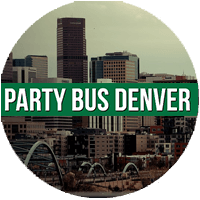 Corporate events are important, so make sure you're putting across the right image with a party bus. Whether you're just hiring us as an airport shuttle or for a long day of transportation during business conventions and/or meetings, you will impress your colleagues and clients alike. You can get more work done while you travel or just live it up and enjoy a cocktail! If you find yourself in Tampa, you're surely flabbergasted by all there is to do here. There's a bustling nightlife scene filled with places to party, drink, and be merry. You'll find theme parks here, fantastic opportunities to take advantage of great weather and sunshine, as well as miles of sandy beaches that are picturesque. Whether you're planning an intimate gathering in the city, you're looking for a way to party with all of your friends, or you just need some transportation to get from point A to point B in the Tampa area, you've come to the right spot. 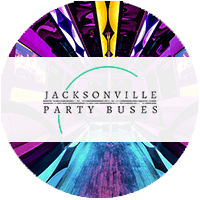 We have all of the things you'll need to make for the ultimate party experience with tampa party bus, and we'll be happy to provide you with service for a price that makes sense! 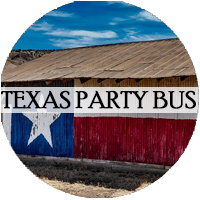 What makes a party bus the best mode of transportation? That's a question that's easily answered! When you rent a party bus for your Tampa transportation, you're assuring a safe mode of travel for all of your passengers. That's right, your search for designated drivers ends with a party bus rental, as your chauffeur is one of the best in the entire Tampa area. Not only does a party bus add safety, but it adds convenience! With a luxury party bus, there's no need to drive multiple cars to one place when it comes to your friends. 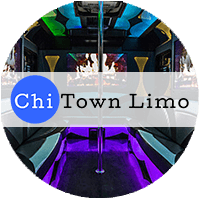 You'll be able to enjoy amazing party amenities throughout the night, something you'll never find in a taxi, your own vehicle, or even a limousine from the competition. We can take you to and from any type of event, no matter how large or small it is. We've got a wide range of vehicles that are suitable for intimate gatherings and massive get togethers! And we cover the entire metropolitan area and beyond, to really make sure that your needs are totally covered. Is it an elegant wedding you're planning? A wild bachelorette party or bachelor party? A birthday party or anniversary party? Maybe a Sweet 16 party for your child or a 50th birthday party for yourself? Maybe it's your 21st? You might just want to go out for a night of bar hopping with your friends, rewarding yourself for all the hard work that you do. Any of the above and then some, we've got you covered! We do it all and we do it well. Be sure to consider our services for your next event in Tampa. No matter what it is, you'll always get the best transportation from our company! We've worked hard to bring you a great selection of vehicles to accommodate any type of happenstance. Look through our website and find your favorite, then give us a call! You can reach us any time, day or night, even on the busiest days of the year, even on holidays and weekends. Our staff is always here taking care of parties that are going on at all hours of the day and night, so it's not a problem at all. Even if you are the biggest night owl on the block, we're here for you! These buses run around the clock too, so let us take you wherever you need to go. Live it up in style and celebrate your big event with us! Give us a quick call with the date of your event and the number of passengers and we'll provide you with a quick and easy price quote! No obligation at all, and no personal information need be shared with us until you're ready to book your bus. Will we hear from you tonight? We hope so!